Los Angeles native and Emmy award winning costume designer Giovanna “Gigi” Ottobre-Melton is recognized in the industry as a go-to designer and a trusted colleague by many producers, directors, and writers. She developed her keen eye and sense of style at an early age, experiencing the feel of luxurious European fabrics and learning to design and sketch at her father’s Beverly Hills atelier before her teens. The elaborate designs featured in period films influenced her significantly, inspiring her to to pursue a career in costume design. Ottobre-Melton attended Fashion Institute of Design and Merchandising where she received her degree. Upon graduating, she opened Bella Notte; a couture studio in West Hollywood. There she designed gowns for a royal Saudi family, fantasy-inspired bridal gowns, music videos, and speciality costumes, which caught the eye of film and television producers. Ottobre-Melton traded her couture studio for the movie studio to fulfill her costume designer dream and never looked back. Her work spans the entertainment industry; from feature films to television including Marvel's "Agent Carter", and Frank Darabont's "Mob City" and "The Mist". 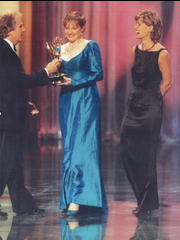 She received her Emmy for NBC's Providence. Giovanna resides in Los Angeles with her production designer husband, Gregory Melton. Her sons Ryan and Thomas work in graphic design and props. She enjoys traveling, gardening, fashion blogging, and spending time with family.